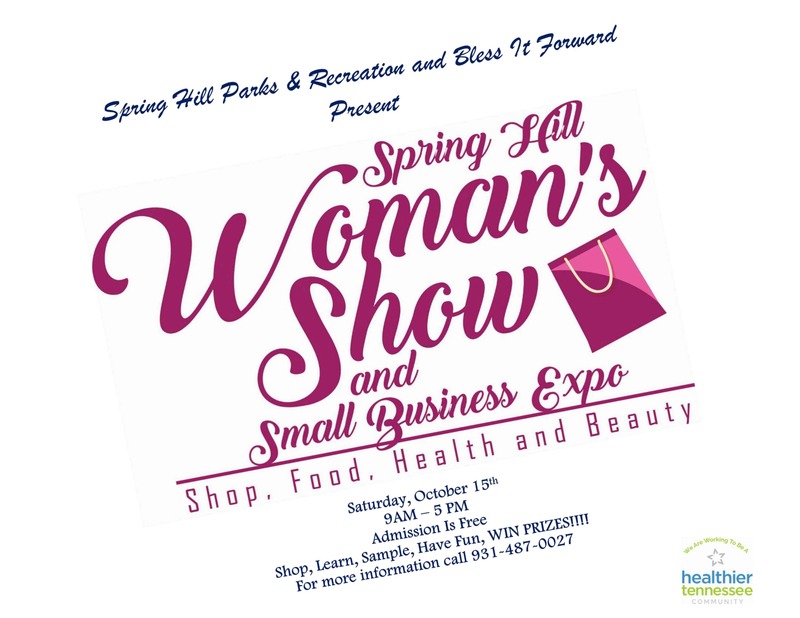 The Spring Hill Women's Show and Business Expo is geared toward businesses owned by women, managed by women, for women and their families ... The event will feature representatives from small business, cottage industry, and direct sales in Spring Hill and the surrounding area. Those attending will be able to learn more about products and services; sample products; shop for gifts for themselves and others; and win prizes. All monies collected from vendors’ fees are being used to purchase gift cards from Spring Hill businesses. The cards will be given as door prizes during the show. Spend $20 supporting a local businesswoman and receive a door prize ticket. The more you spend, the more chances you have to win. Vendors are encouraged to give door prizes when they present information on their product and/or service. More than $1,000 in giveaways!